In Animal Crossing: Happy Home Designer, you can customize your character’s face, hair, and skin tone appearance at both the beginning of the game and later in your playthrough after completing a lesson. 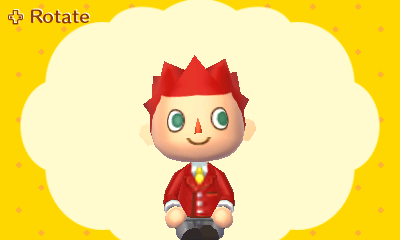 Want to change your appearance later in the game after the introduction? Unlock the Styling Machine on the second floor of Nook’s Homes by purchasing and completing the “Styling Machine” course lesson from the Happy Home Handbook for 5 Play Coins. Click here for more information on course lessons and the Happy Home Handbook. After completing the lesson, you can use the Styling Machine on the second floor to change your appearance at any time afterwards. This includes all appearance options from the beginning of the game, including skin tone and face, not just hair styles. 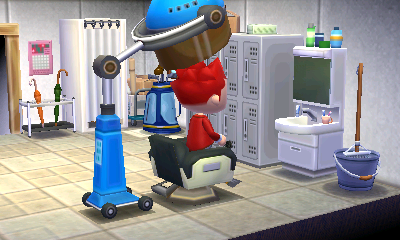 Opposite gender hair styles become available through the Styling Machine as well. Want to change your clothes or accessories? Use the changing room! 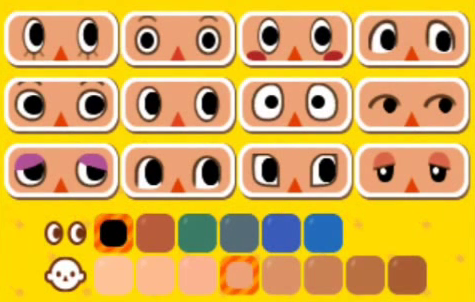 On the first screen of character customization, pick between twelve different faces, six different eye colours, and eight skin tone colours. On the second screen of character customization, pick between sixteen unique hair styles for your gender and sixteen different hair colours.